It doesn't seem right to phrase it this way, but things got back to the new normal last night. There was "just" one beating and robbery last night, conveniently contained to the predictably awful 800-900 block of Belmont. It almost seemed quaint. If only an innocent person hadn't been beaten to the point of needing medical attention. 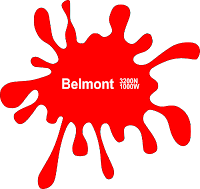 The strong arm robbery capped an hour of craziness on that notoriously dangerous-after-dark stretch of Belmont Avenue. 3:19AM: Two white men were reportedly harassing customers outside of Berlin nightclub, 954 W. Belmont. One of the men was wearing a blue shirt, the other wore a white shirt with blood all over it. 3:36AM: A sergeant ordered additional cars and a squadrol to Belmont and Sheffield. 3:48AM: The squadrol was assigned to keep a presence in the 900 block of Belmont Avenue. 3:55AM: The robbery report came in. Two black male cross-dressers beat a man near the Dunkin' Donuts at Clark and Belmont. They took his phone and wallet, then fled in an unknown direction. A fire department ambulance was called to the scene to treat the victim. Chicago Police Department case #HW396801. Then, after nearly 90 minutes of peace, came another call. 6:22AM: Ten teens "creating havoc" at the Belmont Red Line station. They're opening the emergency door and letting people in.